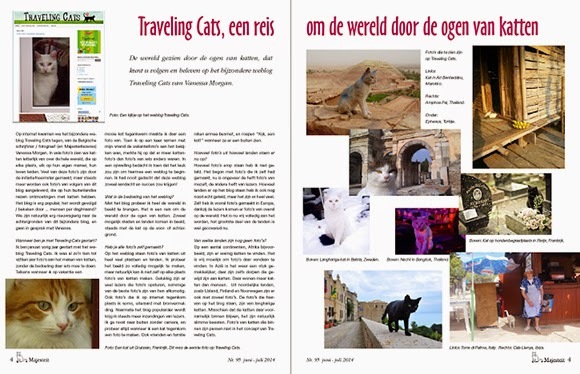 My other blog Traveling Cats has a double spread in the Dutch cat magazine Majesteit this summer. 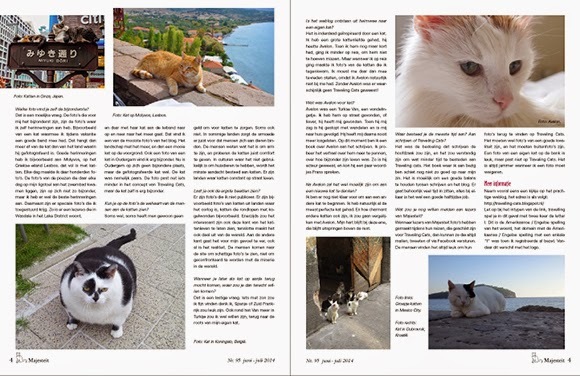 I also talk about my upcoming book on my cat Avalon. SO cool! It will bring you many new followers too! Four pages! That is awesome, Vanessa. Your cat photos are famous. I need to check out this other blog!! Congrats! That's so awesome! I love all the cat pictures. I love that pic of the black & white splodgy kitty ;) What a unique-looking cat. Congratulations! How exciting and wonderful. :) So happy for you! Looks wonderful! Big time congratulations to you and these precious felines, Vanessa! Yay! That's awesome news. It looks beautiful. Awesome sauce. My in-laws are Dutch -- I'll have to see if they can read it.